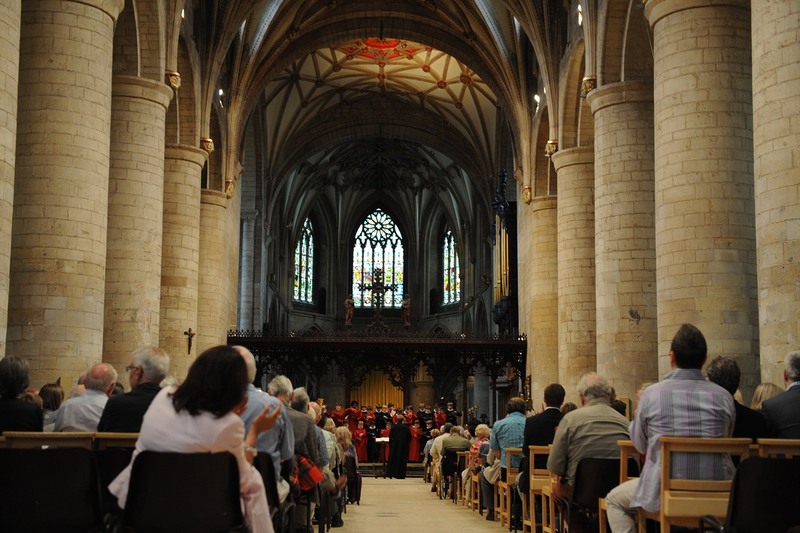 There are plenty of car parks within easy walking distance of Tewkesbury Abbey – all are pay and display. The closest is The Gander Lane Car Park, with an entrance directly onto the Abbey Lawns. There is level access to the Abbey via the main gates and the North Path. There are ramps around the Abbey allowing access for wheelchair users to the majority of areas. Unfortunately some parts of the Abbey are inaccessible to those with mobility problems; these include the Tower and the Upper Room. There are disabled toilets in the visitor’s centre, easily accessible via the ramps provided. The Abbey has a loop system, which is on throughout services. A stunning Abbey church, consecrated in 1121. Lying at the southern edge of Tewkesbury’s old town, the Abbey quietly dominates the land and skyline with its long nave, Norman arches and “probably the largest and finest Romanesque tower in England” (Pevsner). The building provides a breath-taking setting for Music Festival events.